Our CNC milling rotational punch press is ideal for manufacturing low to medium sized batch quantities utilising standard tooling. This avoids passing tooling costs onto our customers. 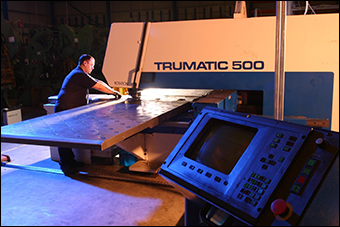 Where a dedicated tool is economically feasible, punch press tooling proves to be much less costly than conventional tooling, and has a shorter lead time.